Eleanor is the Editor in Chief and Poetry Editor for Peril Magazine, an online magazine that seeks to be an active platform that empowers the creativity, agency and representation of Asian Australian people in arts, society and culture. Founded in 2006, it is published by Peril Magazine Inc and is currently supported by the Australian Government through the Australia Council for the Arts, its arts funding and advisory body. Together with editors, Robert Wood (Politics), Amena Ziard (Prose) and Nikki Lam (Visual arts), Eleanor edits two editions a year of exciting new works that engage with Asian Australian culture. This includes soliciting and commissioning work, reviewing and editing submissions, contributing to editorial and blog content and maintaining Peril’s social media presence on Twitter and Facebook. As a part of this work, Eleanor curated another literary mapping project. Together with Lian Low (former Prose Editor and now Editor at Large), some twenty Asian Australian writers contributed previously unpublished works engaging with ideas of terra/land/place. The responses formed Peril’s 15th Issue – Peril Map. In this era of inescapable global positioning, tracking, closed circuit television, social media tagging and checking in, surely there are no longer any uncharted lands? We seem to need to know exactly where we are, who we are with and what we are doing all the time; mystery has lost its cache and replaced with the ubiquitous GPS. Or is there something still seductively concrete about the map, and by association being “on it”? There has been a fantastic upsurge in writing and discussion about Asian Australia of late: anthologies, festival panels and the like. It feels a little like Asian Australian writers are successfully inscribing themselves into a cultural landscape, marking themselves as legitimate occupants of that territory and space. 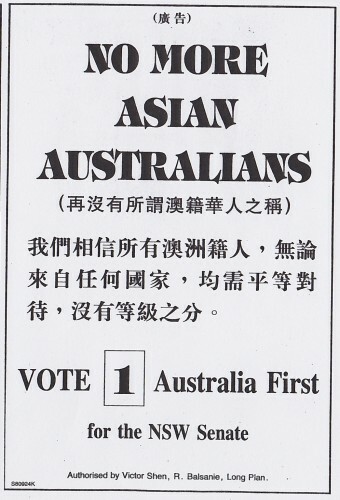 Presumably, as we surge forward in the “Asian Century”, there will be even more ways in which contemporary Australian society looks to pleat the map and bring these two geographies closer together. Here at Peril, we are curious as to the ways that our writers, poets and storytellers might contribute to that conceptual and cultural origami – and equally interested in acknowledging the limitations of the mapping analogy. Obviously, there’s more than geographical legitimacy at play here. Perhaps those very limitations to geography highlight why we are still so fascinated by emotional and creative landscapes, those places that are so much more difficult to find, slippery define and therefore navigate?